Warm, Bright and Beautiful! Nestled in the heart of everything LA has to offer, you will not only be within blocks of La Cienega park, restaurant row, and South Beverly; but also only a mile and a half from Rodeo and the Beverly Center! While inside, breathtaking 14-foot floor to ceiling windows welcome you at your penthouse level entrance. The main level features a spacious and open concept with wraparound balconies, perfect for entertaining! Make your way upstairs to find an expansive private rooftop deck with astonishing views of Culver City, Century City, Downtown LA and the Hollywood Hills. 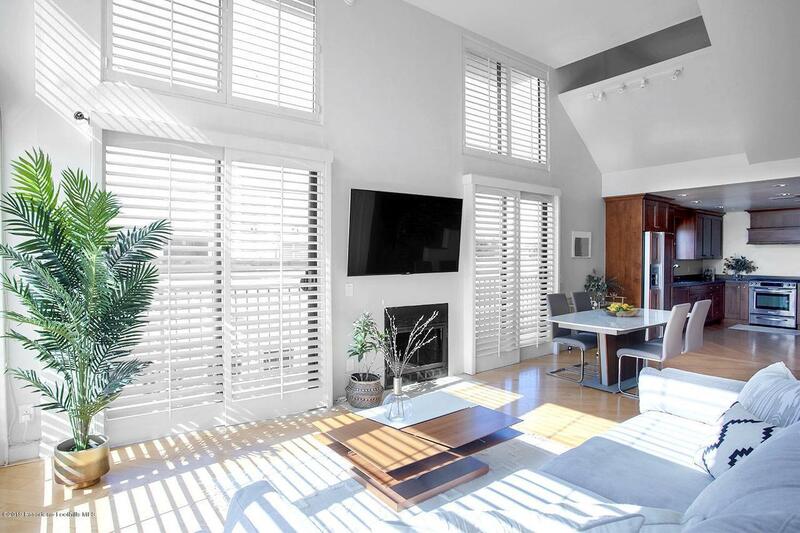 In addition to two expansive bedrooms and ensuite bathrooms, the home presents a second level of wraparound balconies, a bonus loft great for a home office, two parking spaces and a high-speed electric car charger. Don't miss this incredible home that truly has it all!